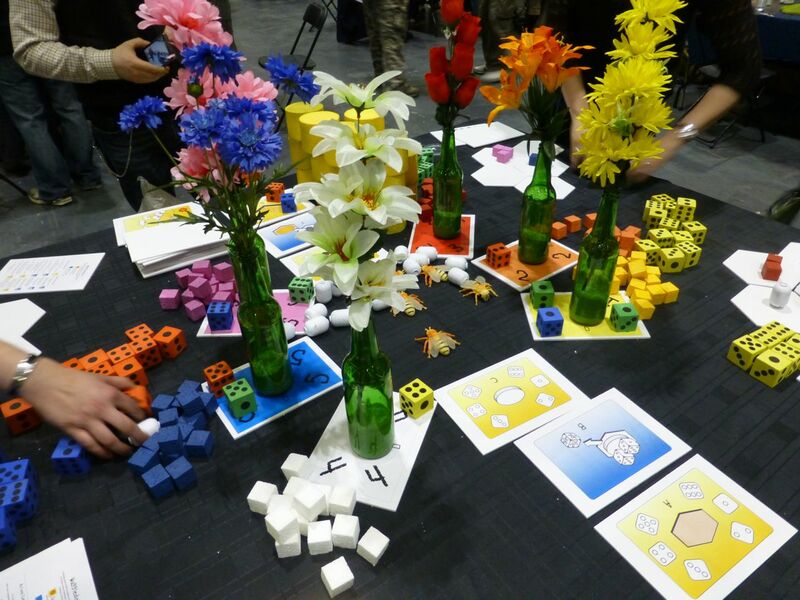 Below a demo game of Wolsung by Micro Art Studio, presented in style. 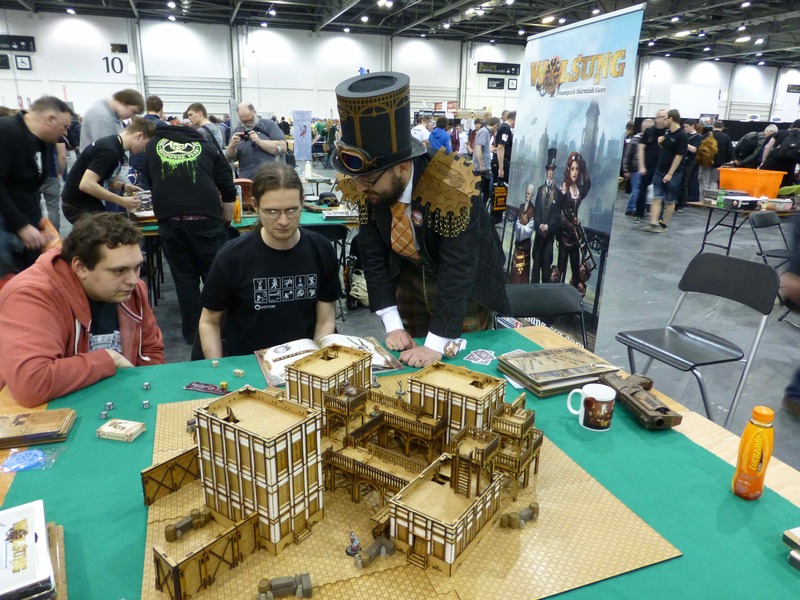 This original smog shrouded table for End of Empire was created by Spirit of the Game. 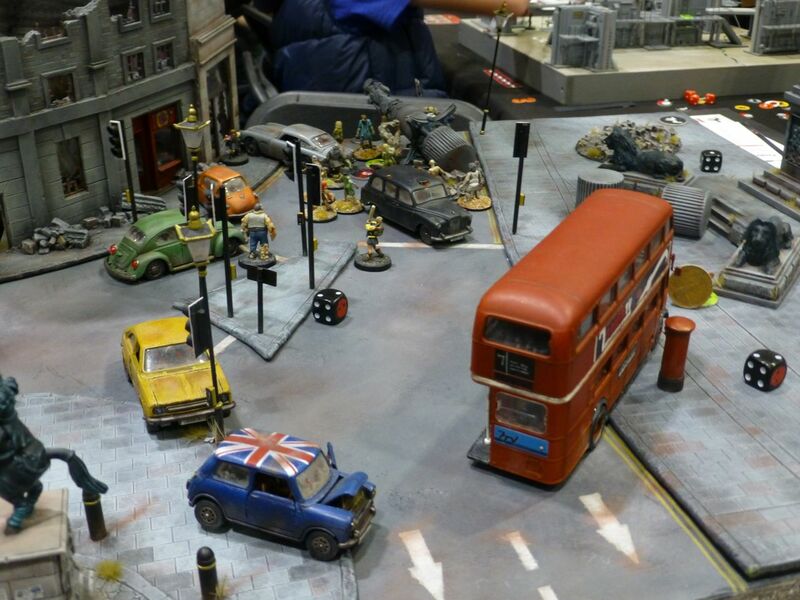 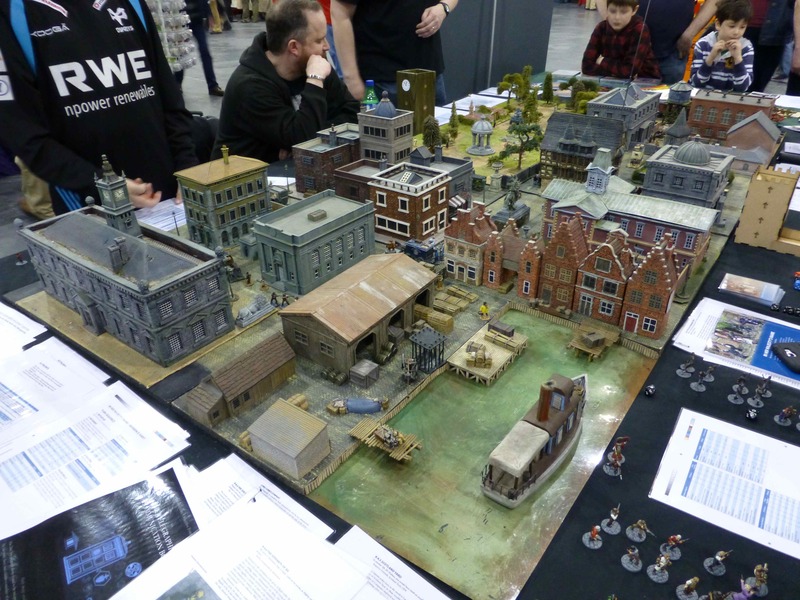 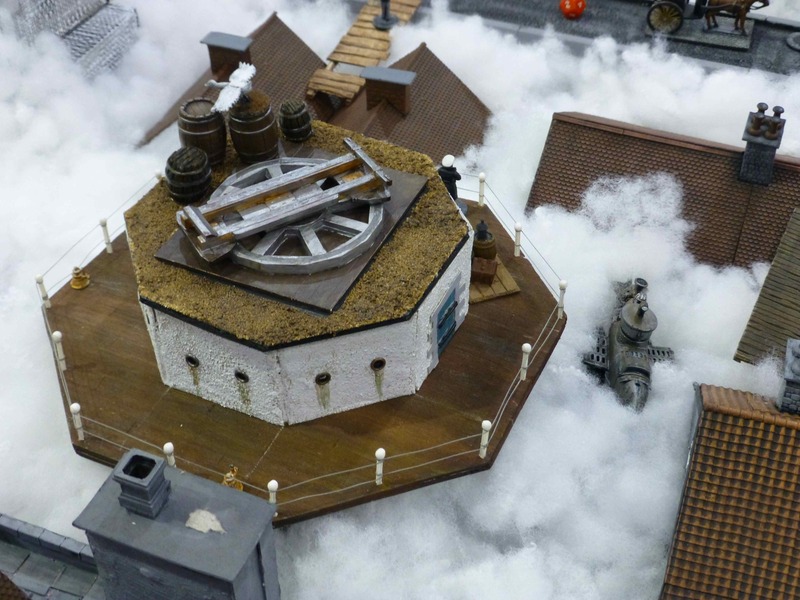 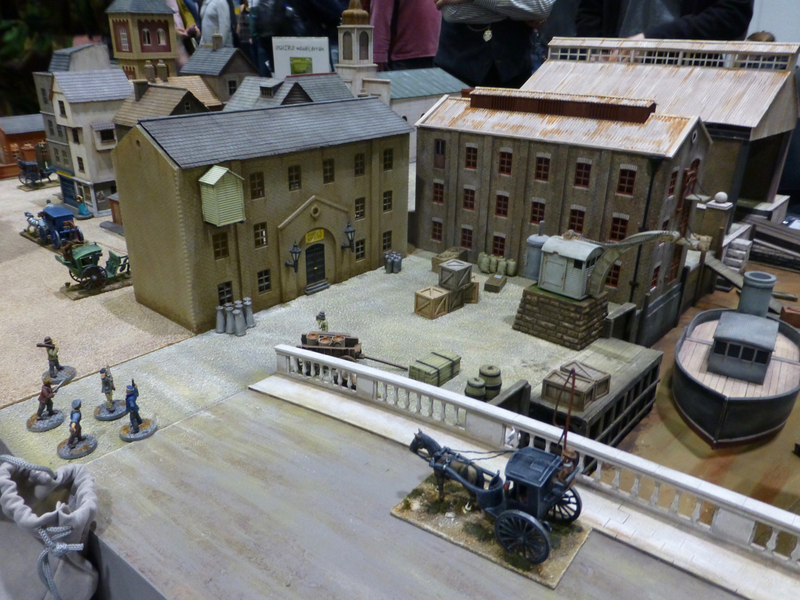 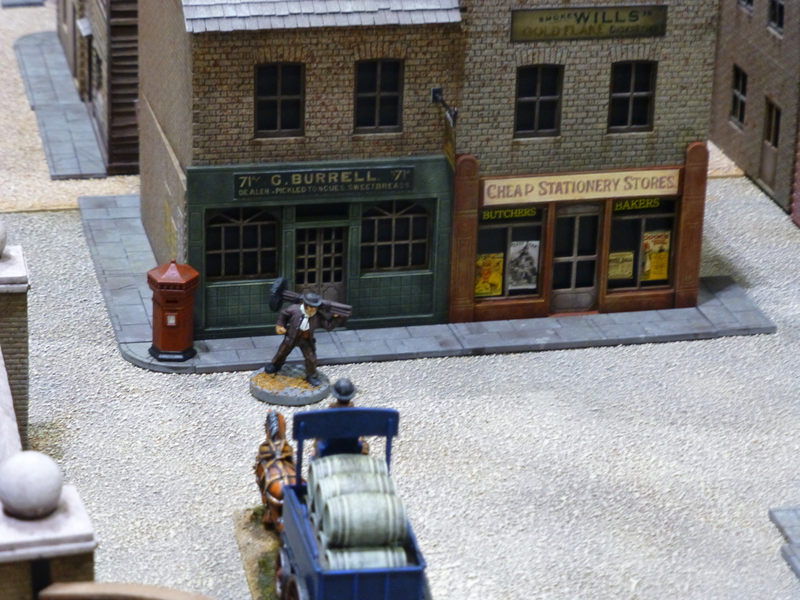 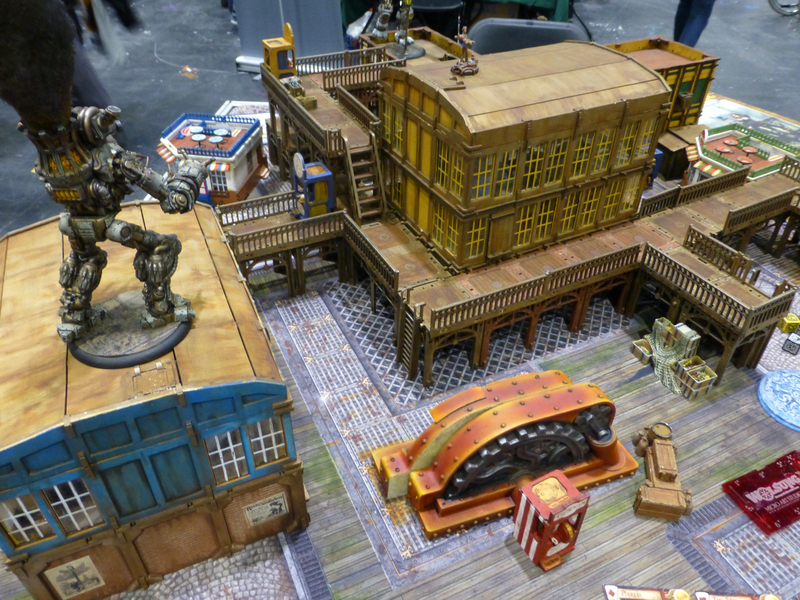 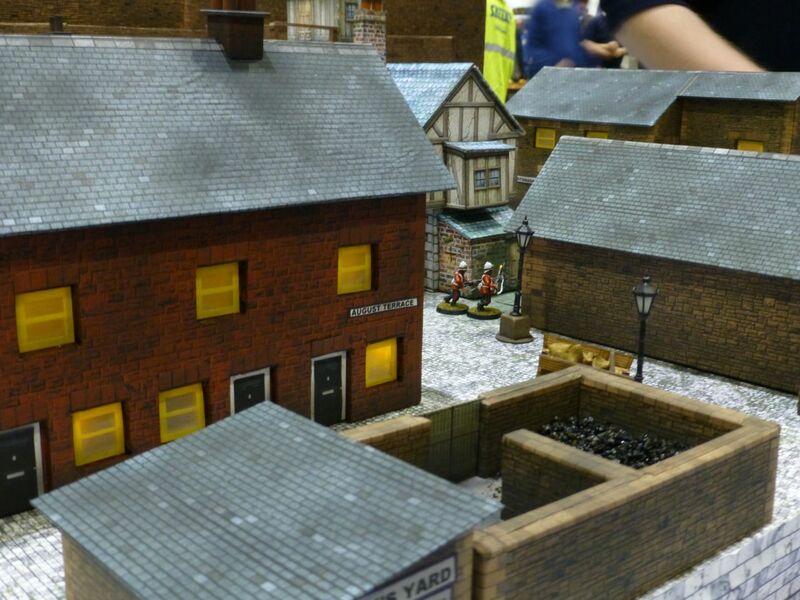 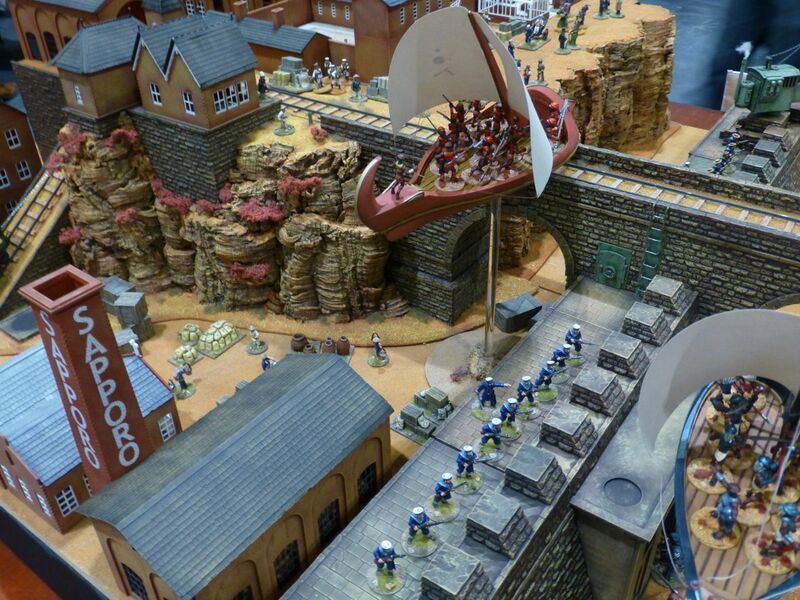 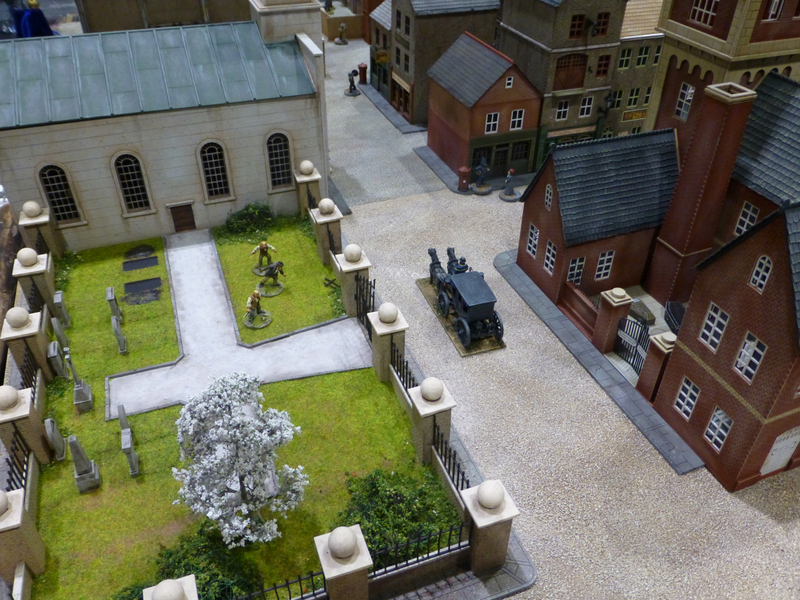 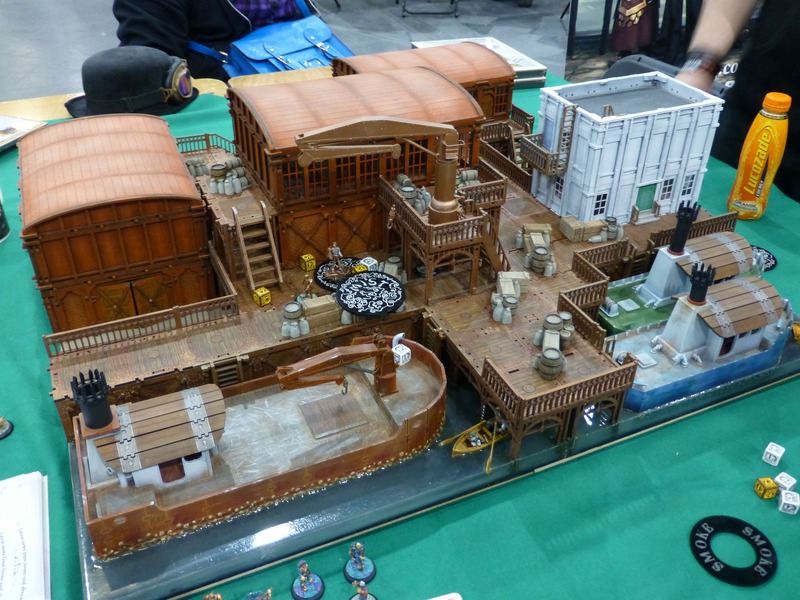 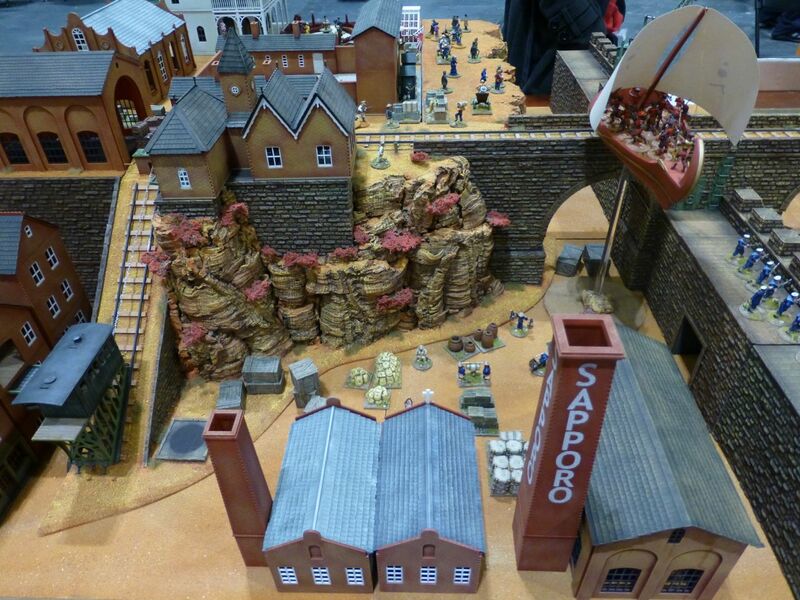 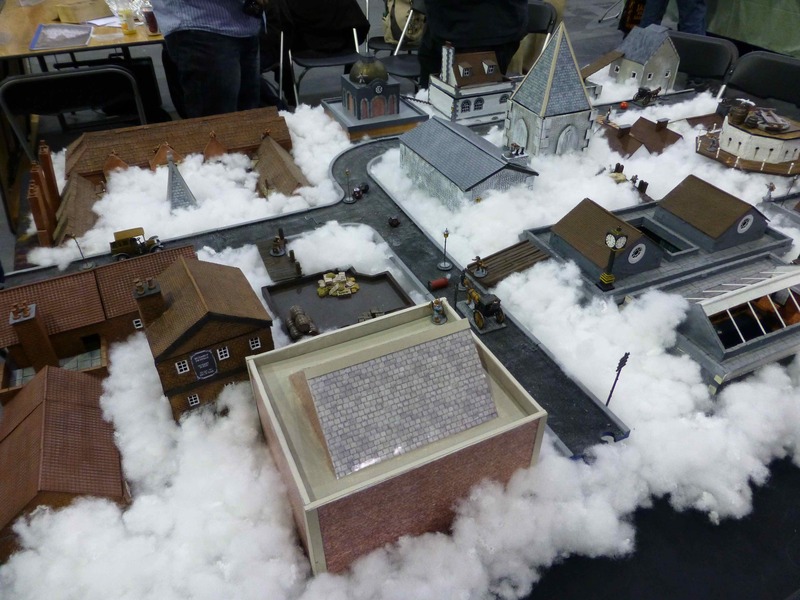 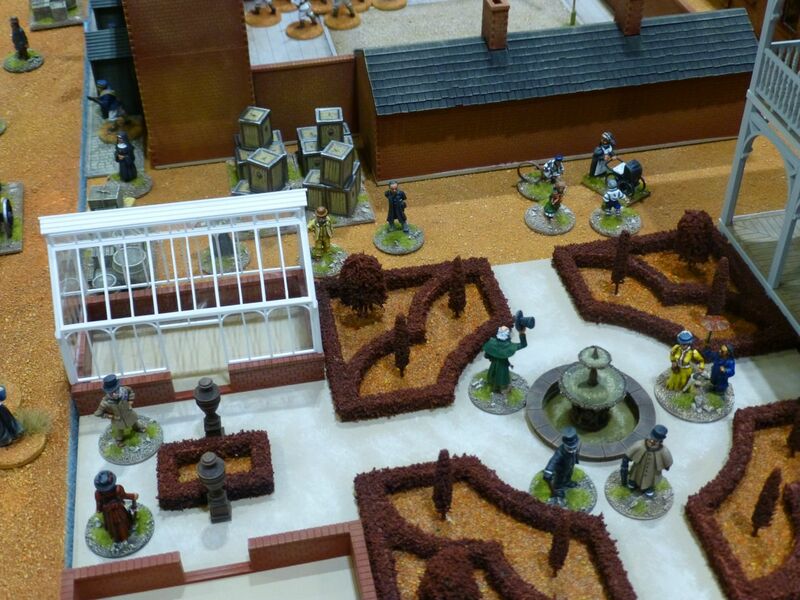 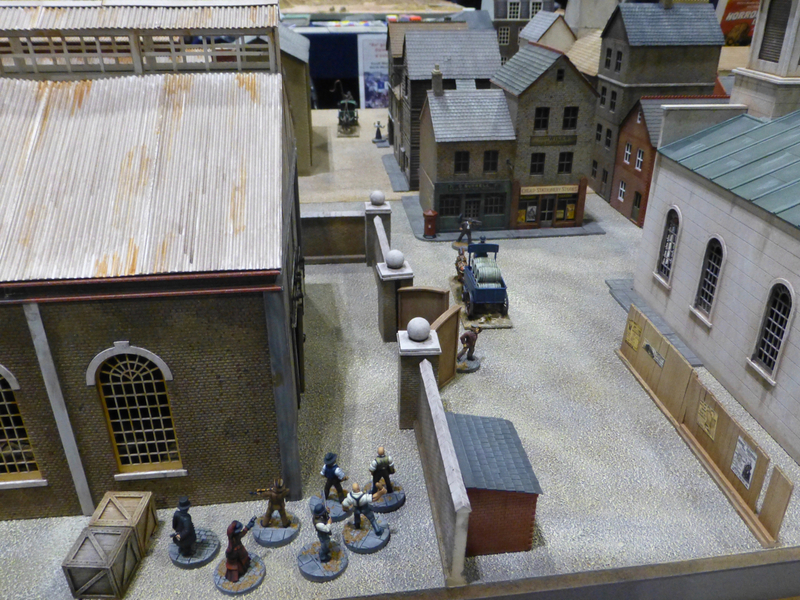 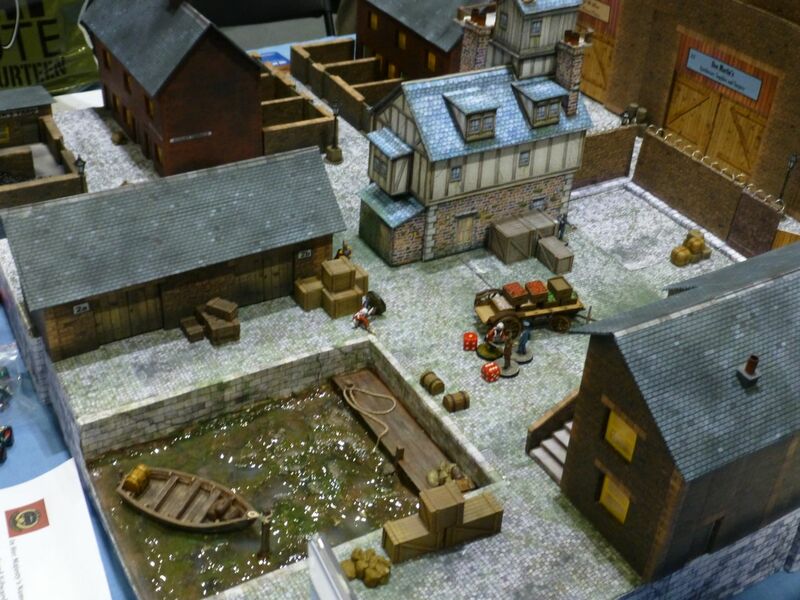 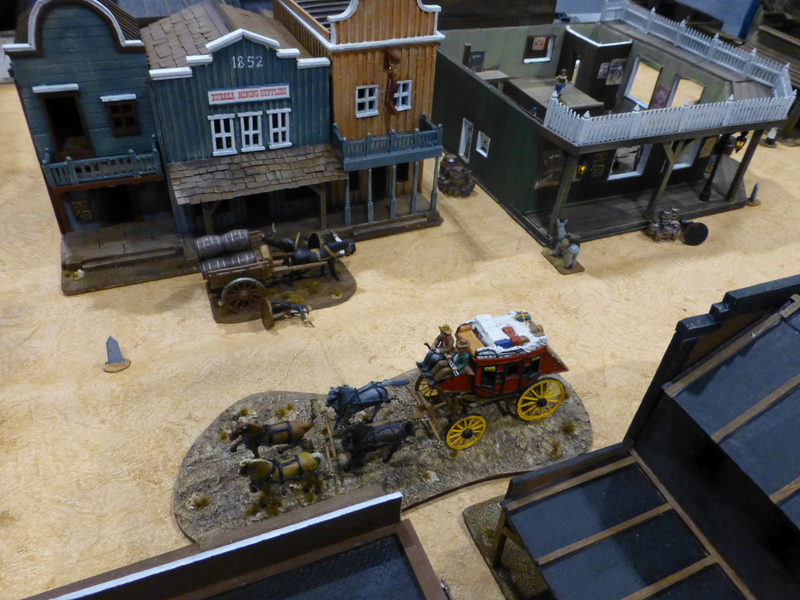 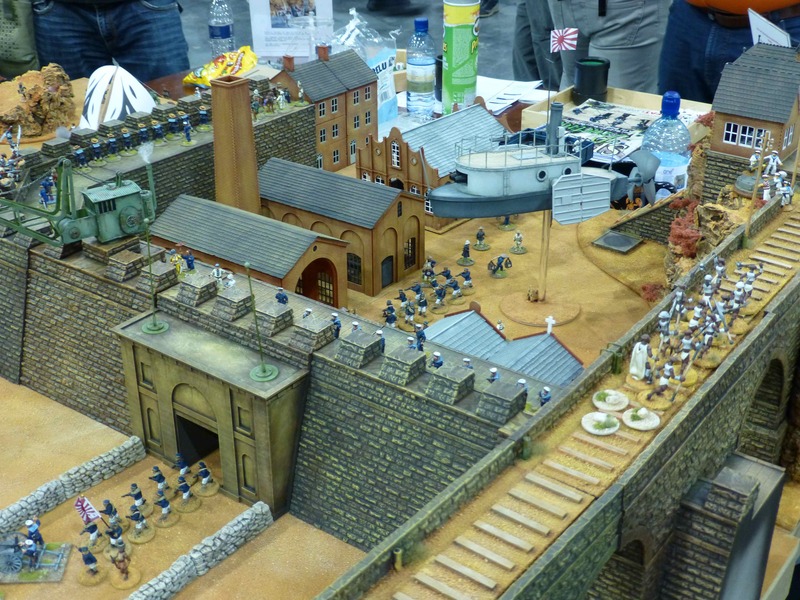 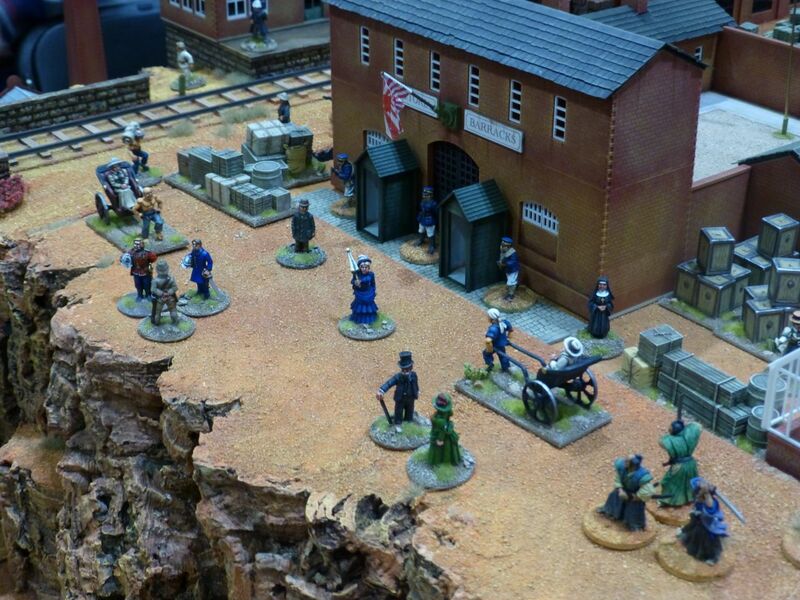 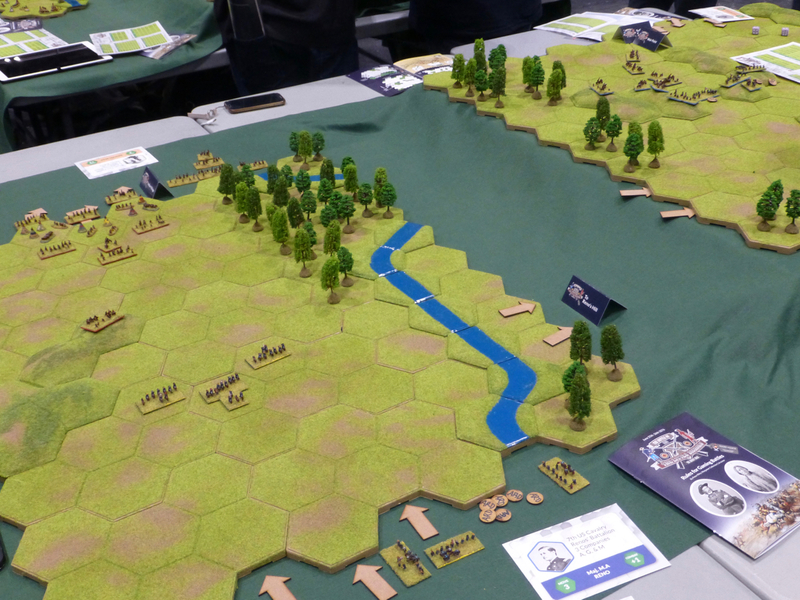 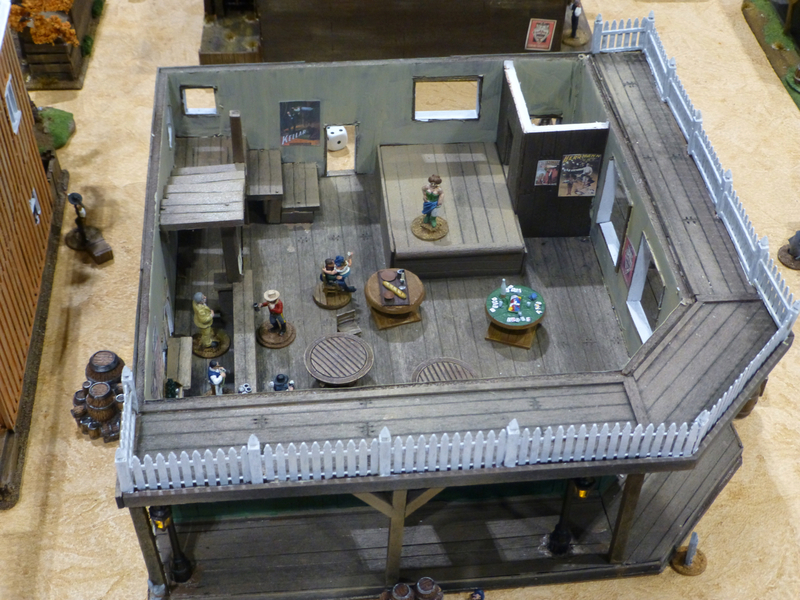 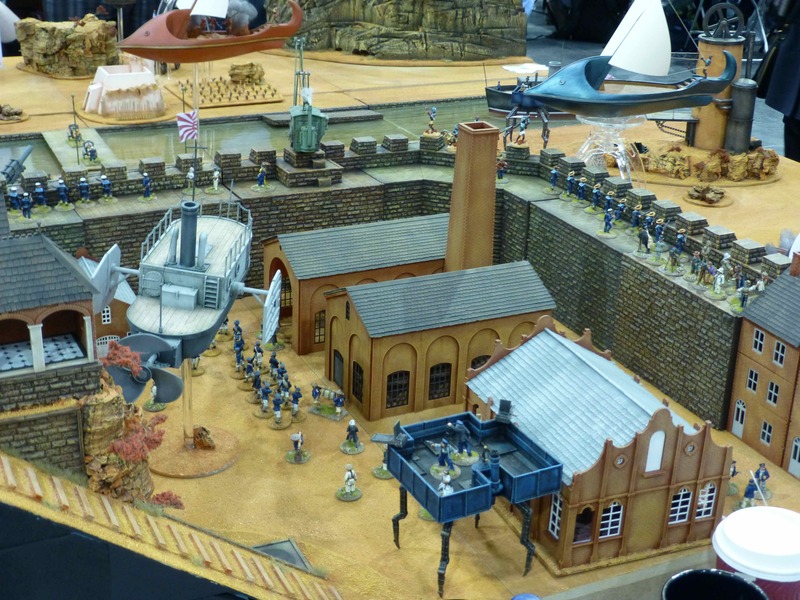 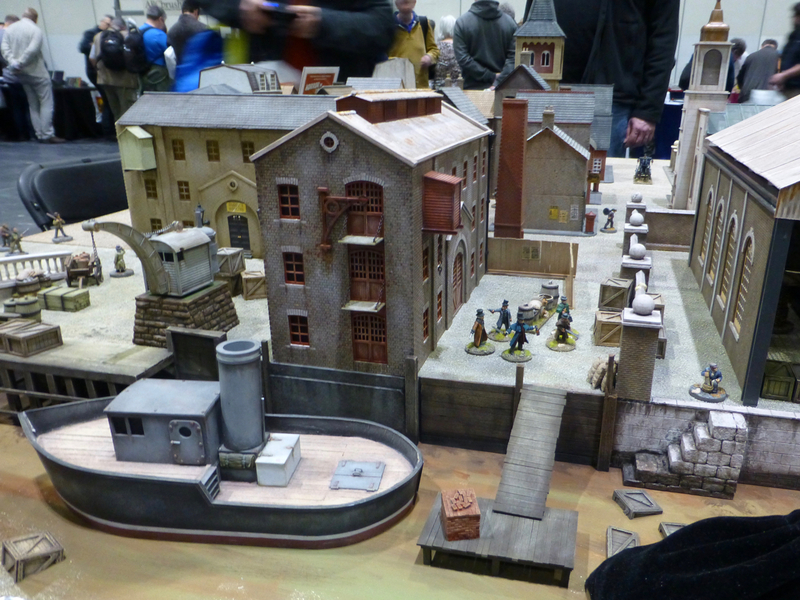 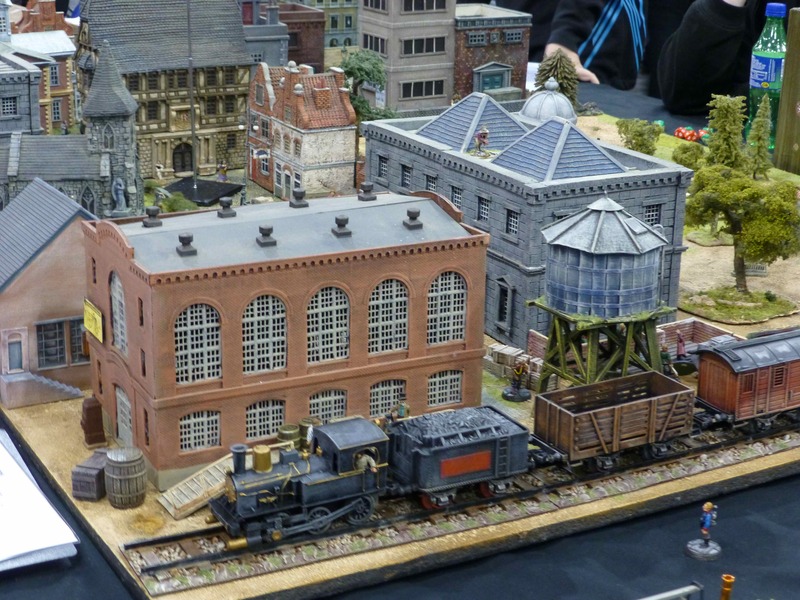 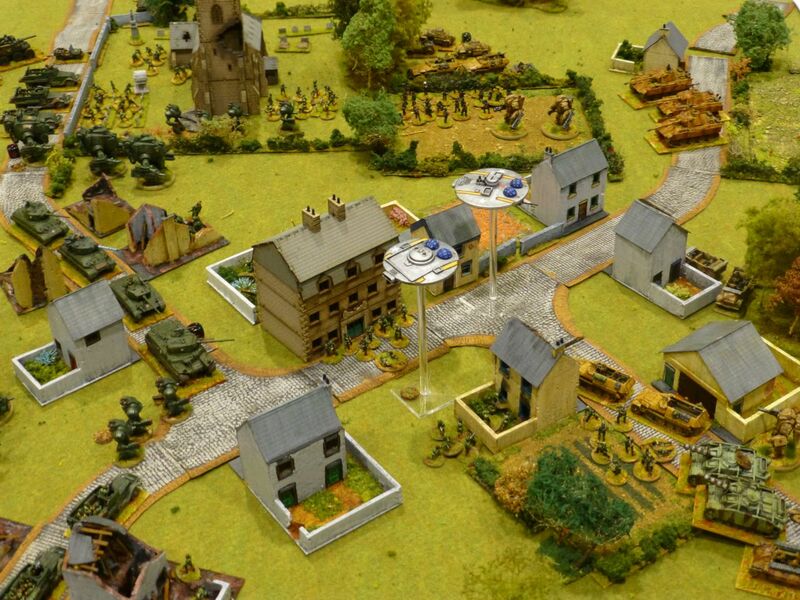 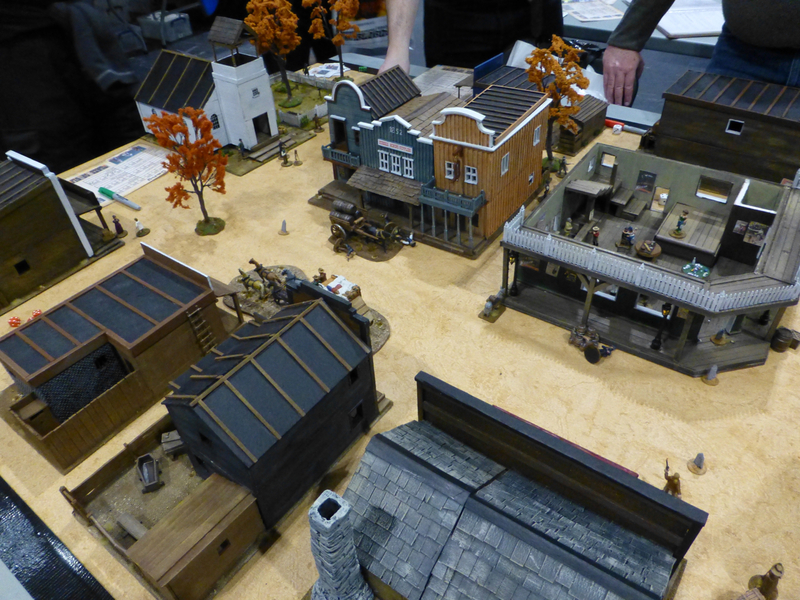 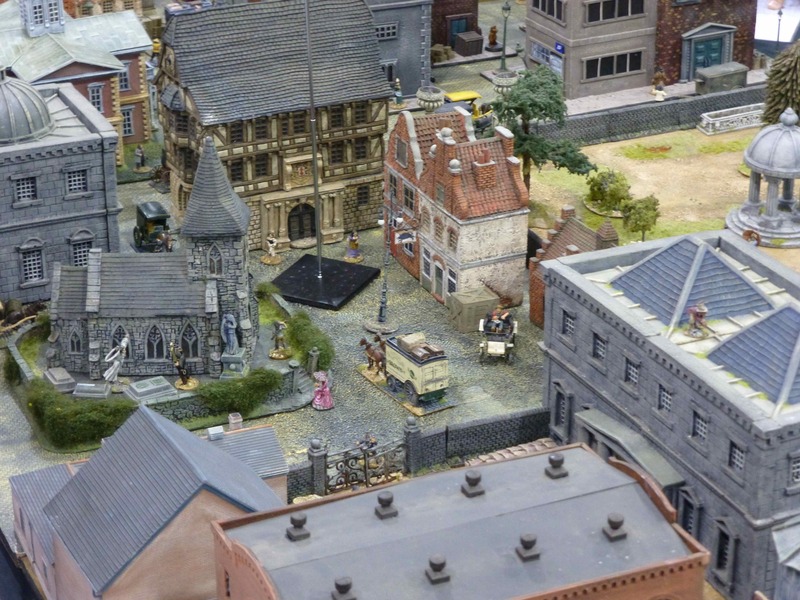 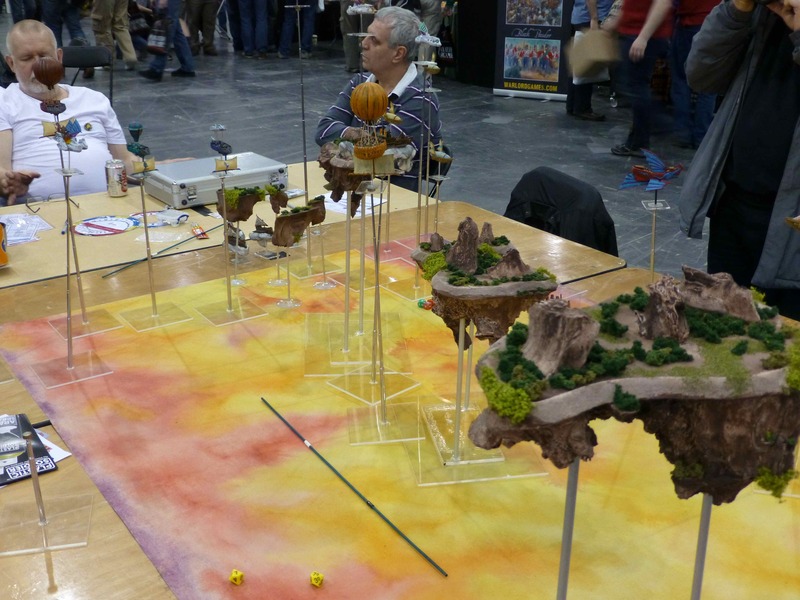 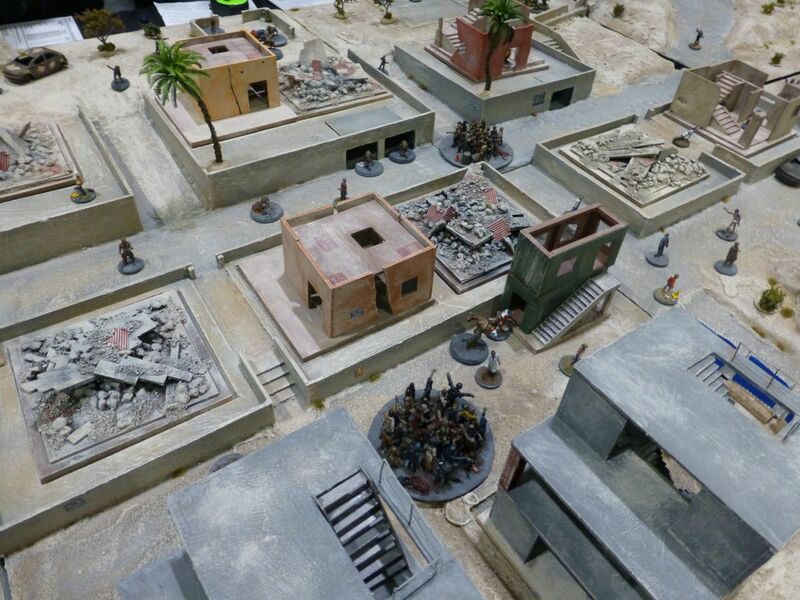 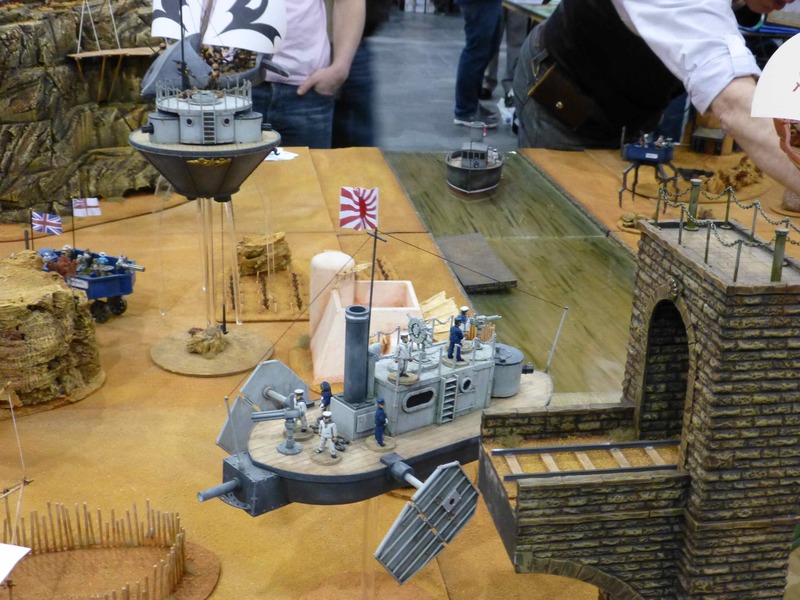 The largest table in the genre featured Victorian sci-fi in War on Mars by Red Planet Miniatures. 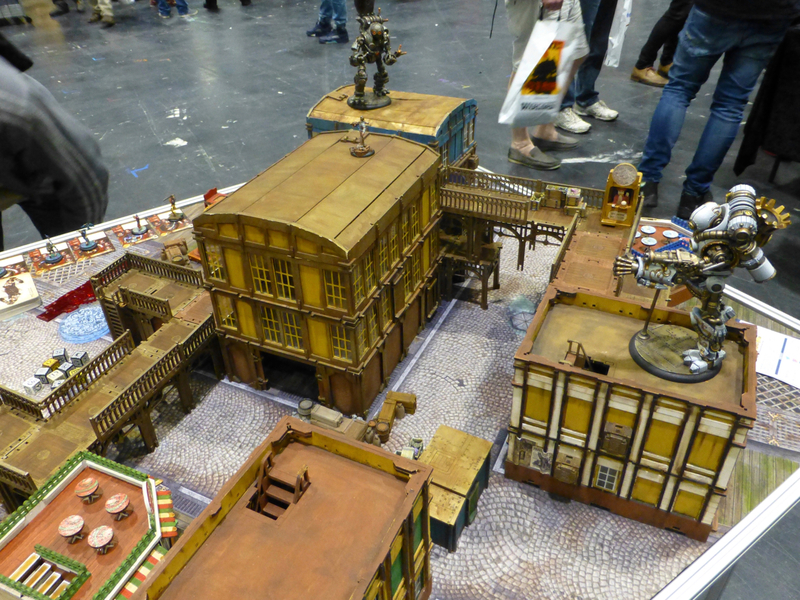 There were a number of other Steampunk style tables at the show, a couple of which I took the following snapshots of.